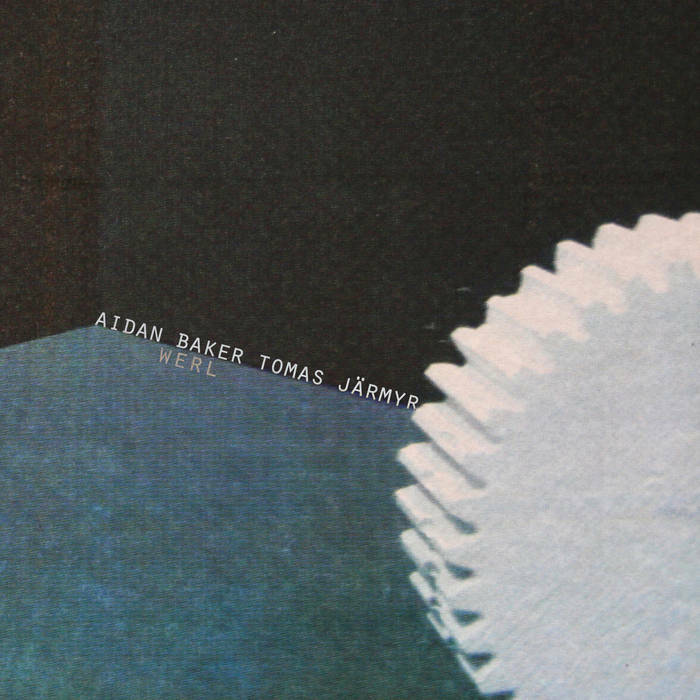 Aidan Baker is someone with no shortage of material. 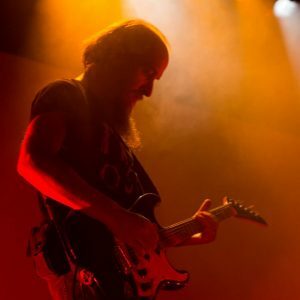 Perhaps best known in the metal world as one half of the drone group Nadja, the man has a solo career, as well as a career with other projects that span the better part of 20 years, and countless releases. 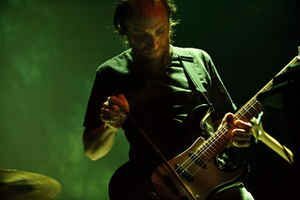 His style is very much in the experimental and drone side, similar in context to a Sunn 0))) and Godflesh at times, and the improvisational aspect of his material can make it very hard to get into initially. 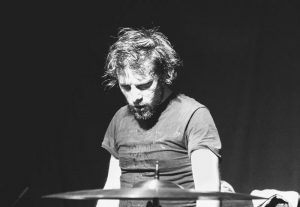 While he releases new music with a quick frequency, 2016 saw a very particular standout record, entitled Werl with freelance drummer Tomas Jarmyr from Norway. Together, these two teamed up to release one dense and trying listen, but one that becomes ultimately rewarding in terms of experimental music. While the album was recorded live in studio, the songs on Werl were done in a clearly improvised manner, which can make it hard to really dissect the structure. These two did not go in with any certain flow in mind per se, and the album builds, and changes as is deemed fit. However, each track on this 90+ minute release features plenty of changes and avenues being explored. From one song to the next, the heavy guitars drone on over the seemingly erratic drumming to create a cacophony of chaos, but also something hypnotizing. The more bombastic tracks can be grating, being a bit of a strain on the listener at times, but then a track like “Werl III” become quite a bit more ambient and much slower in comparison. The use of keyboards underneath the plodding guitar line allows the song to be a nice breather from the prior track, but also just lift the listener too a more tranquil place. Things do not always stay so “melodic” and peaceful though, as even the same track picks up the pace and delves back into more disharmony. This by no means is a bad or negative quality to the album. These songs do require patience, sure, but the actual thought behind the work is very noticeable and impressive. The more freeform style of things not only keeps the album fairly unpredictable, but shows that the two guys here are capable of riffing with one another live, and not devolving into an utter mess. The songs on Werl never lose any real sense of a song, and no matter how droning or chaotic they may get, there is always some semblance of a thread holding everything together nicely, and a feeling that there is a track these two are getting back on. While there are some similarities on the release in terms of the slower sections of elongated guitar notes, there is still always this lingering idea that you never quite know what to expect next. “Werl IV” has some very high pitched guitars and a more pop like or cheery quality to an extent, where as “Werl V” feels more dark and troubling in comparison. Ending the album is probably the heaviest and most complete sounding track in “Werl VIII”, and it really showcases a test in the listeners ability to grasp onto such dense material. Werl is not what one would consider a traditionally “easy” listen. The structures very throughout the album, and the utter noise being created by these two can be very unsettling and downright abrasive at times. The lack of vocals as well can make the pieces seem perhaps a tad more daunting with no verse or choruses to break things up. Never-the-less, the talents on display is undeniable, and again, the actual crafting of the songs are very impressive to behold. This is in no way a release that can be recommended for just anyone, but those already familiar with Aidan’s prior work, or interest in a more drone and even industrial style of music would be well off to give this a chance. Beautiful, and hypnotizing all while pummeling you with sheer heaviness and abrasion lends itself to one of the more interesting and challenging listens of the last year or so, but one that seems to give back in spades if given the proper time. This entry was posted in Bands, Progressive Metal, Reviews, Stoner, Doom, Sludge and tagged ambient, Carla Bozulich, Consouling Sounds, drone, Godflesh, Jesu, Jodis, Leah Buckareff, Locrian, Mammifer, Menace Ruine, Nadja, Noveller, Sunn 0))), Tim Hecker, Troum.